Jeff's Black Brant on a D12-5. Nice Straight High Flight except a broken fin due to a hard landing. 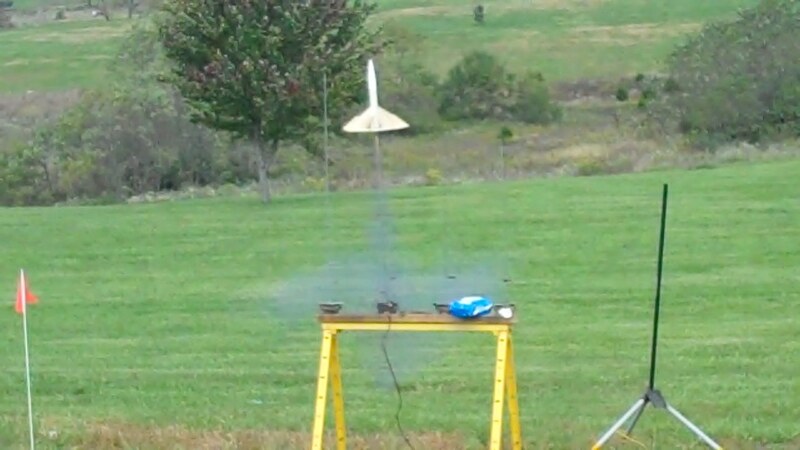 Jeff launched his Blackbird on a B6-2 for the first time. 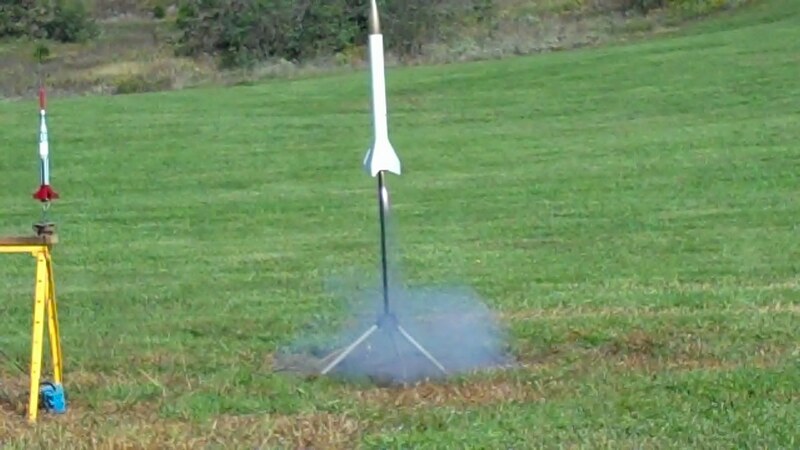 It left the pad and recovered without incident. 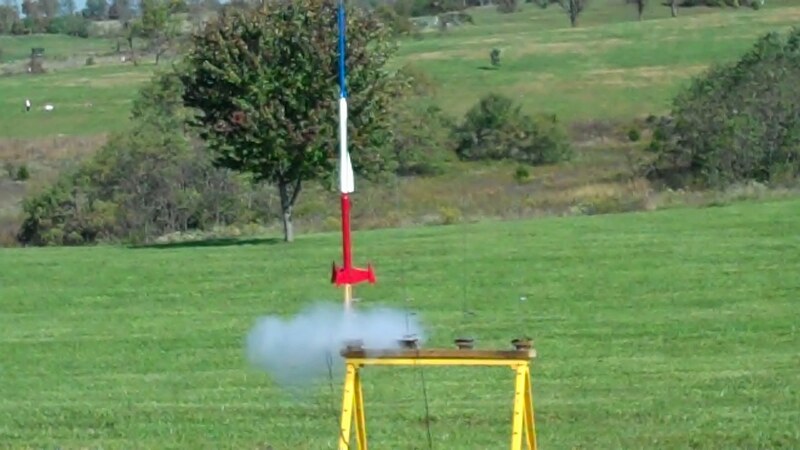 The Golden Scout launched by Jeff is a special model put out by Semroc. 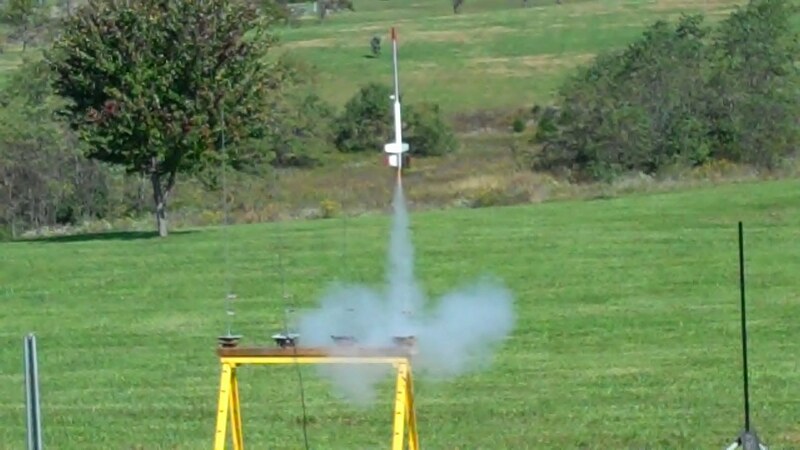 It launched great but lawndarted due to the engine sticking and not allowing the model to tumble. No Damage. The Excalibur 2 was built by Jeff and has a beautiful paint scheme and finish. 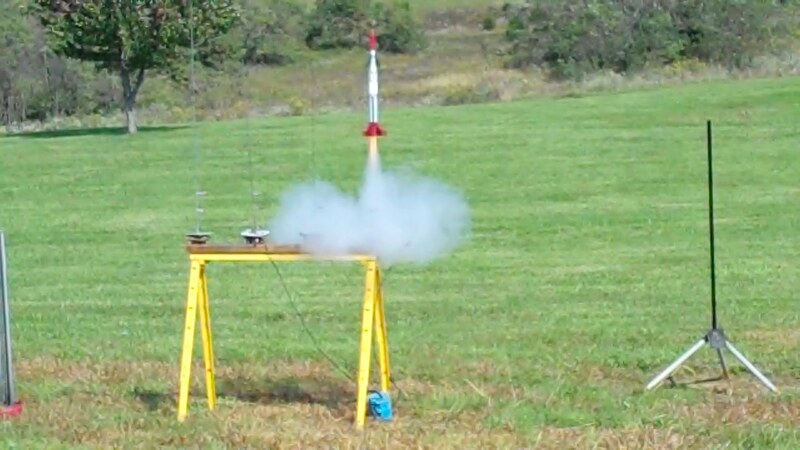 It was launched using a C6-0 in the booster and a C6-7 in the sustainer. Great Straight High Flight. 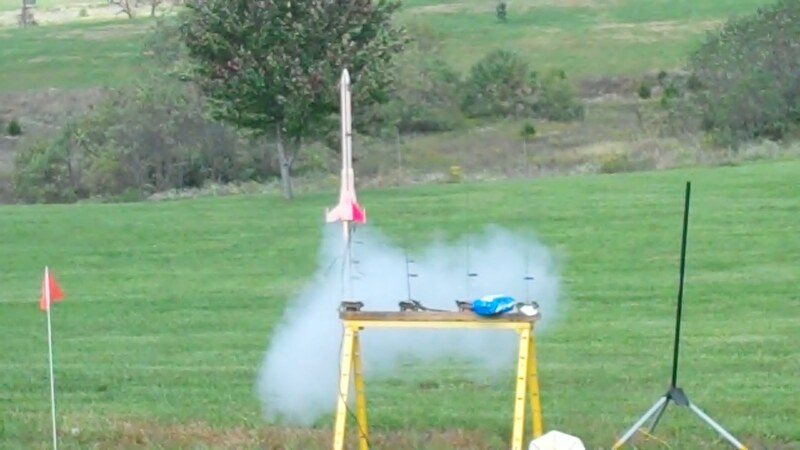 Jeff launched the Defender on a cluster of 3 C6-7s. 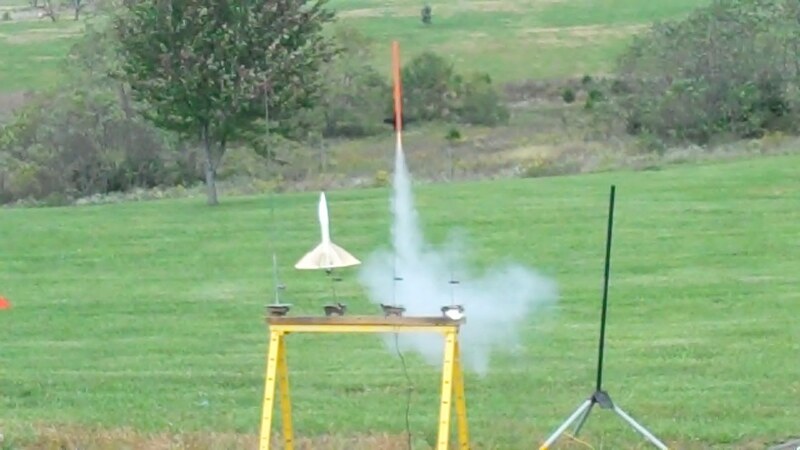 Lots of flame during launch. Good High Flight. The Wild Infant was Darryl's only single engine flight. He launched it on an E31 WT which provided plenty of thrust and noise in less than a second. Great flight. Darryl launched the Mind Over Matter model on 3 C6-7s. 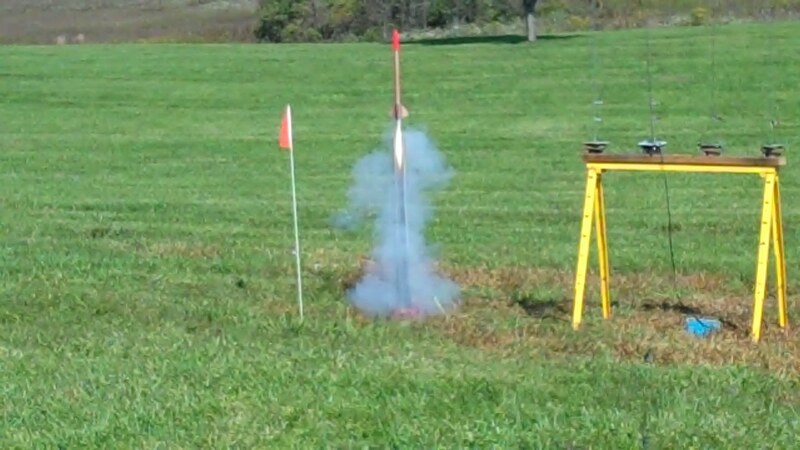 Lots of flame during launch. Great Flight. Darryl's Baby Boy was anything but a baby when launched on 2 A10-3T motors. 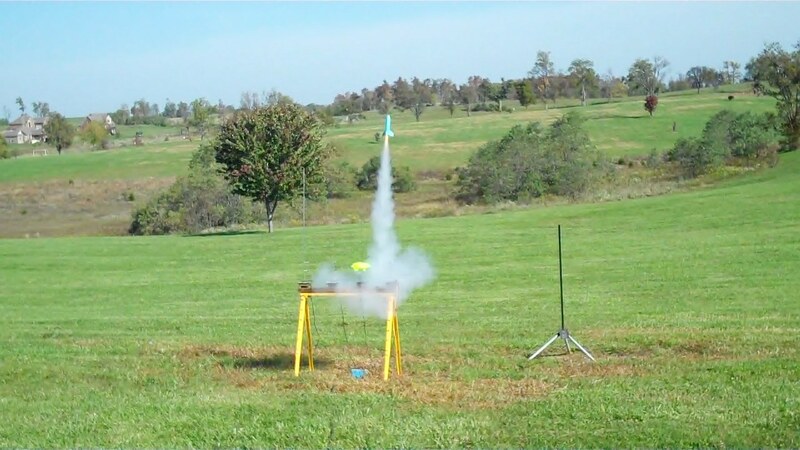 The baby blue colored model flew high and straight and landed without incident. Great Flight. 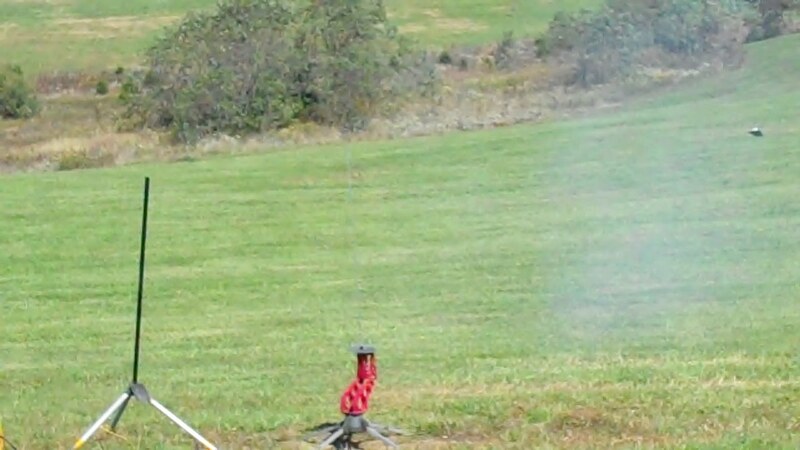 Darryl loaded his Hydra 7 with 7 C6-7 motors. 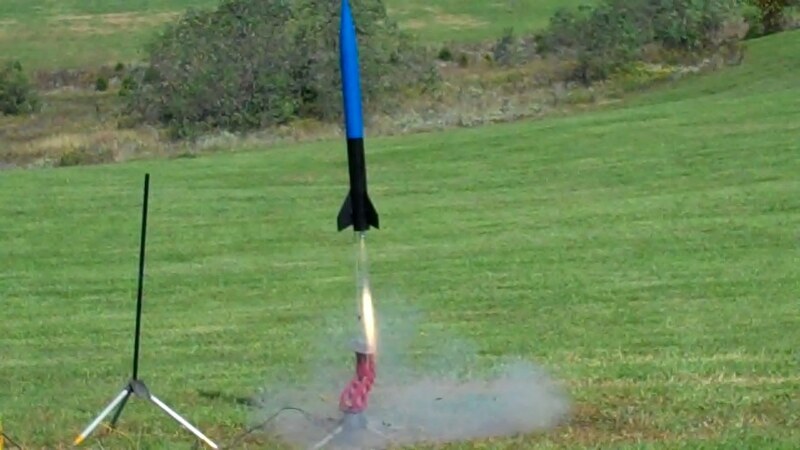 When the launch button was pressed only two lit causing the model move up the launch rod a few inches where it remainded for the entire flight. Easy recovery. 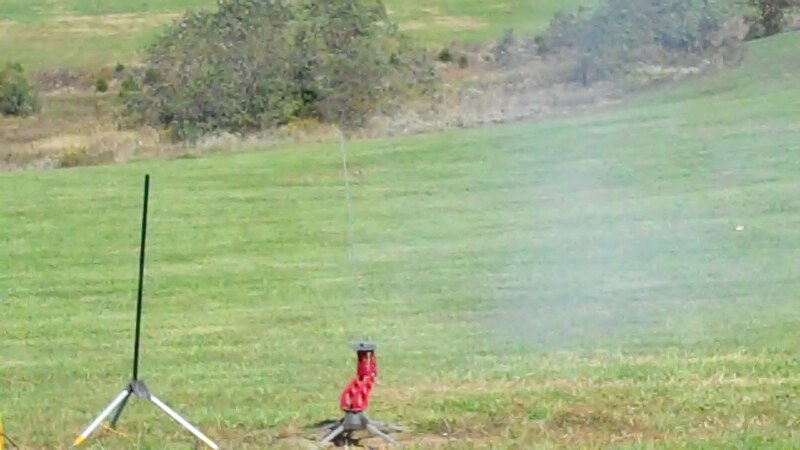 Here is a view of Darryl's Hydra 7 blowing its top. Joe's Snitch on a B6-0. 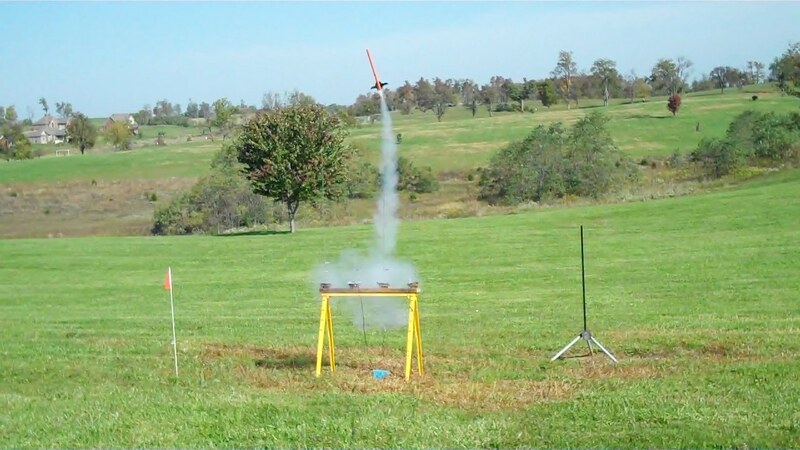 The maiden fligt of Joe's WhitchCraft model from Rocketarium on a B6-2. 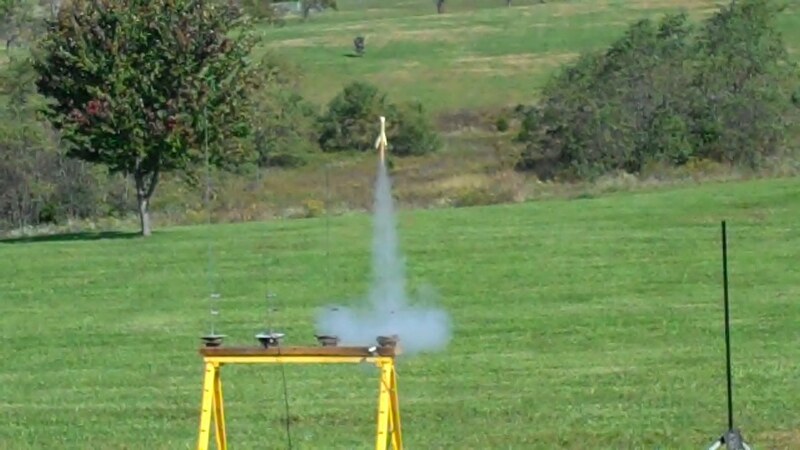 Here is a picture of Joe's Leviathan Maiden Flight on a F36-7. Great Flight on the way up but due to a long delay the SC zippered the body tube. So much for its first flight. Joe's Umbrella on an E30. Johnny's model building up pressure and lifting from the launch pad. 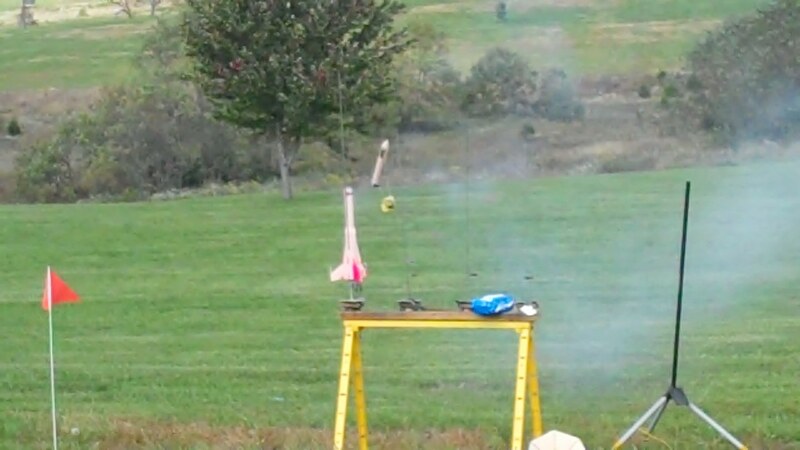 Shortly after clearing the launch rail the motor CATOed shredding the lower portion of his model. A piece is visible in the right hand side of the picture. 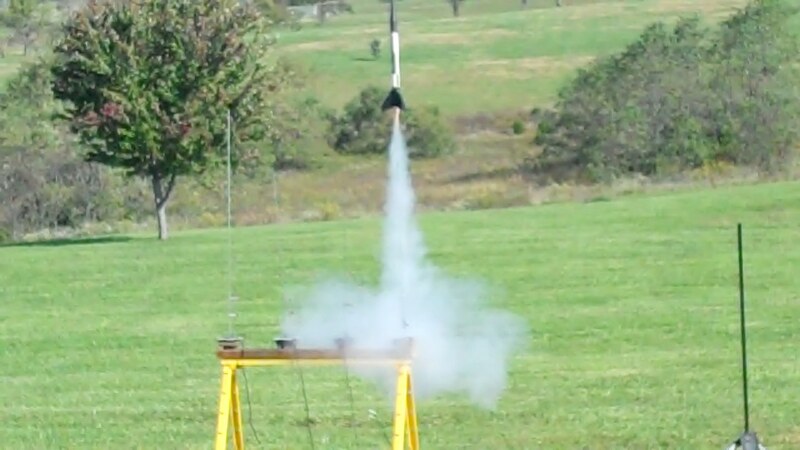 Joe's Second Launch of the WitchCraft on a C6-5. 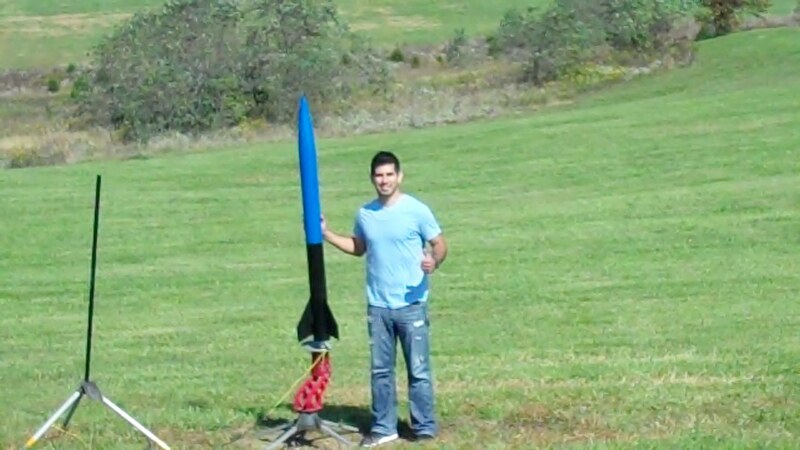 Here is another picture of Johnny's appropriately named rocket - Skyburst.